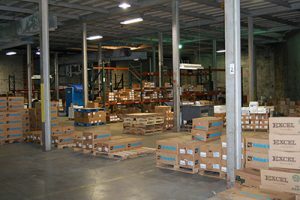 As one of the region's most reliable food service and retail distribution companies, Packers Distributing Company gives you all the choices you need with the level of service you deserve. If you'd like to become a customer please contact us via the link at the bottom of this page, or use our online contact form. Click on any of the links below for a snapshot of WHO we are and WHAT we deliver. We stock all the popular lunchmeats and plenty of deli cheese, salads and pickles. We also carry deli papers and containers, gloves and other supplies. See us for packaged meats and seafood, ethnic items, salads, dairy, snacks, beverages and more. Flavorful meat, the heart of a memorable meal. We have fresh cuts of pork, beef, and poultry ready for your recipes. Milk, butter, juice and juice drinks, sweet teas, whipped cream, sour cream, yogurt, cottage cheese ...the list goes on and on. See us for all your seafood needs: frozen, bulk, sized portions, and retail packages of various fish and shrimp. Tempting appetizers? Satisfying desserts? Frozen breads and popular ethnic selections? We've got them! We're proud to offer our flavorful and popular private label hams and sausage patties. We know you'll be proud to offer them, too. You'll see our quality right away, from the top-notch service to the excellent and varied products we provide.